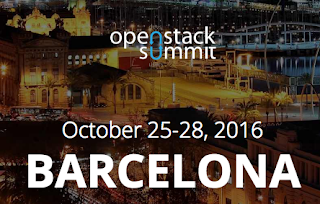 As previously posted, I will be in Barcelona in October to attend the OpenStack Summit. Planning for this event always involves for me submitting something fun to share with the OpenStack community, so this year I pushed a story about planning and installing your OpenStack Cloud using some pretty neat tools available around the Red Hat Cloud Suite. Look for the hashtag #vBrownBag for more around the social networks during OpenStack Summit.